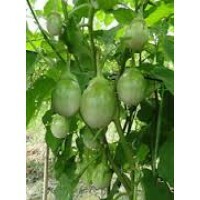 · Brinjal requires a long warm growing season. Daily mean temperature in the range of 13 C to 21 C is favorable for its successful production. · Special care is required to protect the crop from frost. · It can be grown well in all kind of soil. But sandy loam and clay-loam are best for its cultivation. · The Optimum pH range is between 6.5 to 7.5. · Seed should be sown in 1 cm drills and covered with soil. · Optimum spacing should be 60 to 80 cm from row to row and from plant to plant depends on spreading type varieties. · Sow the 4 seeds per pit and thin the seedlings to two/ pit after 15 to 20 days. · Seedling takes place within 10 to 14 days from the date of sowing. · Water the field as per need of crop. Keep seedlings moist but not wet. Use a watering can with fine spray. 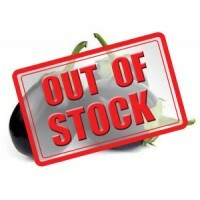 · Can begin harvesting about 75 days after transplanting. · Ten to twelve picks at weekly intervals are possible. 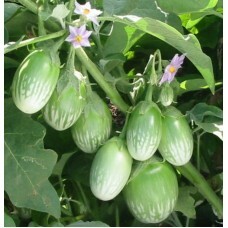 Brinjal Non-Hybrid Seeds. 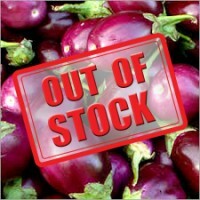 Weight: 5 grams..
Brinjal Purple Round Non-Hybrid Seeds. Weight: 3 grams. &nb..